This handbook helps the living assist the dying at the time of death. It teaches that the living must, first and foremost, understand the process that the soul goes through before they can help the spirit in its transition. 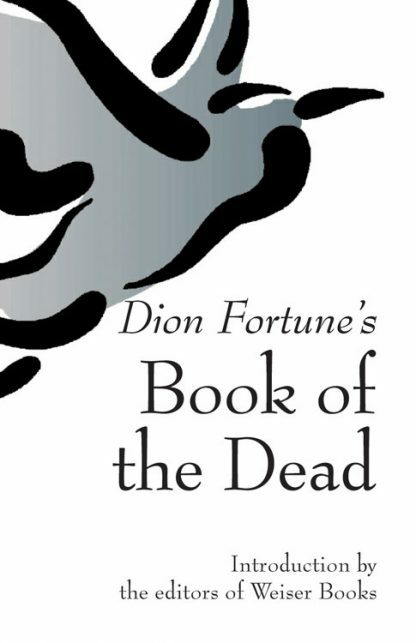 Dion Fortune's Book of the Dead is a clear, concise, illuminating guide that explains the stages in the natural process of dying that each and every soul passes through from this world to the next. Fortune shows how traditional customs connected with the passing of a soul have their roots in psychic fact. For example, we place candles and fresh flowers in the death chamber as soon as the soul has departed because they provide sufficient etheric emanations to meet the needs of the "etheric double," assisting in the soul's disentanglement from the physical. Without the flowers and candles, the etheric body will draw its vitality from any available source, including grievers. Loved ones in particular are susceptible to depletion and can be drained dry in their ignorance. The living, Fortune writes, have two tasks to perform: "We must see to it that dust returns to dust as swiftly and harmoniously as possible, giving rise to none of the happenings which may be termed the pathologies of death," and "we ought to follow up the departing soul with the right kind of telepathic communication until it is safely established on the Other Side." The new introduction to this revised edition explains in simple, contemporary language what the living can do for the dying and why, helping this classic volume, first published as Through the Gates of Death, take its rightful place as the esoteric Western Mystery equivalent of the Tibetan Book of Living and Dying. * This book provides clear, simple instructions for easing the deceased's passage to the other side.